Standing alone outside the Bandra Collector Office, 27-year-old Sneha Kale wears a broad smile as she carefully reads her Lok Sabha election nomination papers. The pride of being the first transgender person from the city to contest for national elections is quite apparent. An independent candidate from Mumbai’s North Central constituency, Ms. Kale is a commerce graduate standing against the incumbent MP, BJP’s Poonam Mahajan. “What will I use my education for? Till when can I beg?” she asks exasperatedly. After working as a social worker and counsellor, the Ghatkopar-resident decided to run for the upcoming Lok Sabha elections to secure policy rights for the transgender community, who have been denied a voice since Independence, according to her. Among her many demands are employment reservation for members of her community in both public and private sectors, compulsory education and pension and health care for ageing members. With no backing from a political party or sufficient funds, Ms. Kale confides that she is nervous about campaigning and even her security. But years of abuse and harassment faced by transgender people around her, has toughened her up for the task. She, in fact, encourages more transgender people to contest for the polls, and urges the government to include the community in the category of those who pay only half the amount (Rs. 12,500) as a security deposit to file a nomination. Currently Scheduled Castes and Scheduled Tribes have this benefit. Ms. Kale is among a fistful of young transgender women who are making their presence felt in the upcoming national polls in Maharashtra. In the run-up to the upcoming elections, the Vanchit Bahujan Aghadi (VBA) appointed trans writer, poet and activist, Disha Pinky Shaikh, as their spokesperson for Maharashtra and the Nationalist Congress Party (NCP) roped in Mumbai-based transgender activist Priya Patil, who is also the project manager of Kinnar Maa Ek Samajik Sanstha, as a member of its state working committee and social activist Chandani Gore as vice-president of its women’s cell in Pune. On the national front, the Congress, early this year, appointed transgender activist Apsara Reddy as a national general secretary of its women’s wing, the Mahila Congress, making her the first transgender office-bearer in the party’s 134-year history. “If a person who has no voice is made the spokesperson of a party, that’s a big deal,” declares Disha Pinky Shaikh, who took up writing columns for Marathi newspapers to advocate trans rights. A believer in intersectionality, her ambit of activism extends to the rights of farmers, low castes and class. “But [beyond activism], you have to take a political stand to make a change,” she says. With that intention, the 35-year-old took up VBA’s offer, as her ideologies aligned with that of the party. She informs us that she was among the first trans women in Maharashtra to be roped in by a political party, which led to other parties like the NCP following suit. Deeply entrenched in the issues of her community, she provided inputs for the party’s manifesto, which includes promises on reservation, implementation of the National Legal Services Authority v. Union of India, colloquially called the NALSA judgment, and opposition of the Transgender Persons (Protection of Rights) Bill, 2018. For Priya Patil, besides a well-functioning transgender welfare board, the demand includes education and skill development, which leads to employment. “But if you tell a 60-year-old transgender person to look for work, that’s not going to happen so she has to beg,” says Patil, adding that onus must lie on the government to take care of the senior members who are too old to be trained. The 32-year-old activist, who is currently working in Palghar constituency for the Lok Sabha elections and had contested the 2017 Brihan mumbai Municipal Corporation elections as an independent candidate, says that the new generation of transgender women want to break away from the tradition of begging and seek employment. Members of the transgender community were also hit hard by the current government’s demonetisation policy in November 2016, due to a lack of access to banking. Among the many political debuts for the transgender community in Maharashtra, the Election Commission appointed activist Shreegauri Sawant as their first goodwill ambassadors in the state. One among her many duties is to create voter awareness among the trans population. 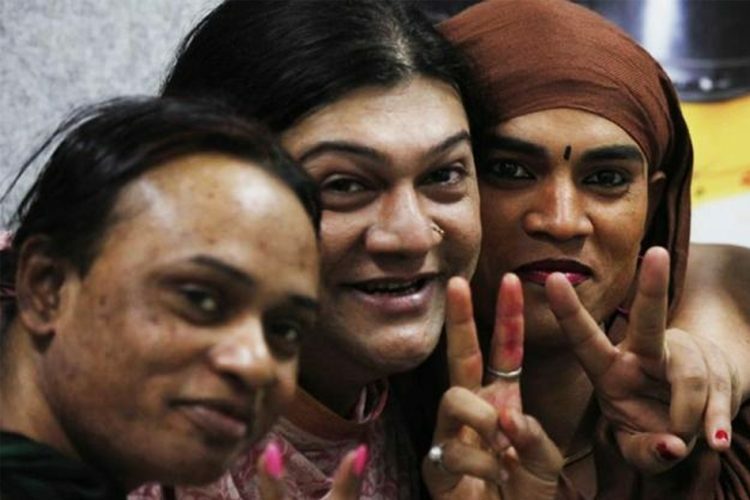 It was only in 2014, that the “third gender” was recognised as a voter identity after a landmark Supreme Court ruling. The 2011 Census estimates the transgender population to be close to 4.9 lakh but the number of voters who identify as trans is less than 10% of that number, according to the Election Commission (EC) data. Besides social stigma, the cumbersome bureaucratic process to change one’s gender on the voter list acts as a deterrent. “People are still not clear what it means to be transgender. If I am a transgender person what does it mean in a binary world otherwise? If all my other certificates like birth and education certificate say something else, should I keep carrying it around?” asks Chayanika Shah, a member of LABIA, a collective of lesbian and bisexual women and trans persons. Patil informs that since many transgender people procured their election card before the introduction of the third gender option in 2014, their election card identifies them as either male or female. “We have conducted sensitisation work with the EC about this issue,” she adds. The upcoming Lok Sabha elections come eight months after the Supreme Court partially struck down Section 377, elevating the expectations of the queer community from the upcoming polls. “The judgement also said that it is the government’s responsibility to see that Section 377 is not misused further, so we are expecting that the government that comes to power will implement it,” says Ms. Shah, adding that the current government has done little to ensure that the verdict reaches all police stations across India. However, the presence of queer issues, particularly transgender issues, in several party manifestos is a mark of progress from the 2014 Lok Sabha elections, observes Ms. Shah. “When Shabnam Mausi [who became the first transgender MLA in the country two decades ago] approached the Congress, she was told we have no deficit of men, but today they have Apsara Reddy for the same post,” Ms. Shaikh points out. Despite the small steps taken in the political landscape, stigma and patriarchy remain the biggest impediment. Therefore, the only way for these transgender women to overcome the challenges is by sticking their neck out in mainstream politics. 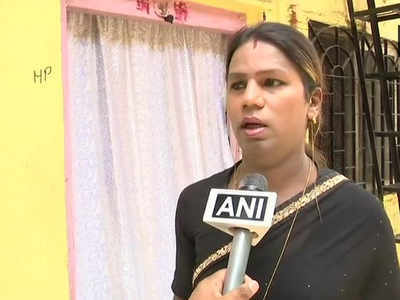 In Gujarat, Naresh Jayshwal, a 28-year-old transgender woman has filed her nomination as an independent candidate from Ahmedabad East constituency. In Odisha, BJD appointed transgender social activist Meera Parida as the vice president of the Biju Mahila Janata Dal, the party’s women’s wing, last month. In Uttar Pradesh, Aam Aadmi Party selected their first transgender candidate to run for the Lok Sabha elections from the Prayagraj seat. “Let’s make an India where this isn’t an exception but a daily norm,” the party tweeted last month.